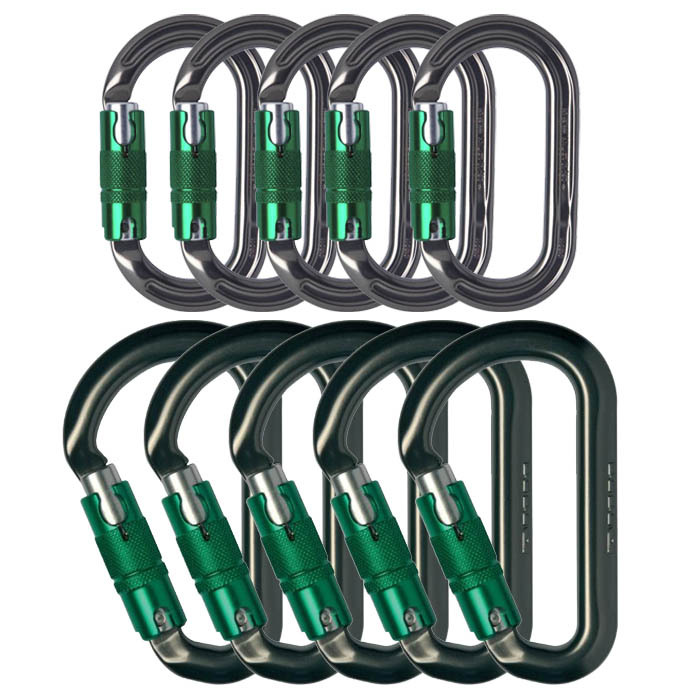 Available from ForestAndArb.com, especially for Black Friday, we're offering a 10 pack of DMM climbing Karabiners for a bargain price! Within the pack you'll receive 5x DMM Aero HMS Locksafe Karabiners, and 5x DMM Ultra O Locksafe Karabiners. This offers a superb value package ideal for topping up climbing kits, or getting new gear after LOLER inspections. The best part is, because it comes as a pack over the £100 mark, we'll pay the shipping to UK Mainland addresses, making it superb value for money buying items that usually are expensive to buy online! Don't miss out this Black Friday.